Diamond Lakes Federal Credit Union is a full service financial institution ready to serve you as a member, not just as a customer! We are a not-for-profit financial cooperative owned by the folks that save and borrow money at Diamond Lakes. Profits are returned to members in the form of lower rates on loans, less fees and a higher return on savings products. 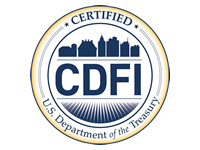 All deposits are insured by the National Credit Union Administration, an agency of the federal government, to at least $250,000. To become a member, you must live, work, worship, attend school or regularly do business in one of the six counties we serve: Garland, Hot Spring, Clark, Grant, Montgomery or Pike Counties or Hot Springs Village. Membership is represented in a $5 deposit to a Share Savings Account. Diamond Lakes Federal Credit Union, originally called the Jones Mills Federal Credit Union, was formed in 1960 to serve the employees of the Reynolds Metals Reduction Plant. Over the years, the credit union has expanded its membership base to include individuals who live, work, worship, attend school or regularly conduct business in and employers and organizations in the Diamond Lakes Region. 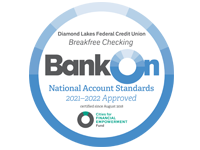 The mission of Diamond Lakes Federal Credit Union is to encourage savings, provide reasonably priced financial products and personal member service while maintaining financial stability. It is the intent of the credit union to be the primary financial institution for its members/owners and to expand economic opportunity for underserved people and communities that are served.